Date nights are always good. Whether it's a walk along the beach, a meal out, visit to the cinema, or in this case a night at the theatre. So when we get an opportunity for a date night, we try and make the most of it. 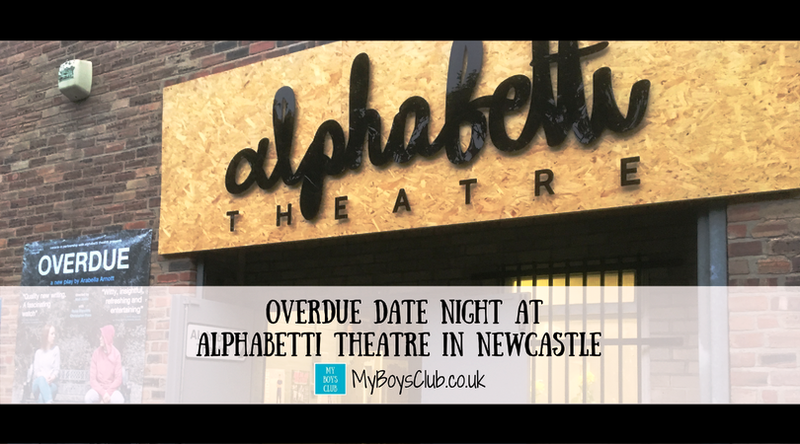 On this occasion, we had received an invitation to the press night at the re-launched Alphabetti Theatre in Newcastle, for the production of Overdue. And with a babysitter available we headed out for a pre-theatre meal and a show. Alphabetti Theatre is one of the best-kept secrets in Newcastle. It has a theatre, a bar and a second-hand bookshop, and has just re-opened after moving across the city. Now located on St James Boulevard, opposite the Discovery Museum, this is an independent theatre which aims to be a space to experiment, evolve and discover excellence for both the artist and the audience. With an ethos of being open and welcoming the theatre believes that great art should be for everyone, not just those who can afford to pay. To achieve this ticket prices are low - all under £10 or Pay What You Feel. 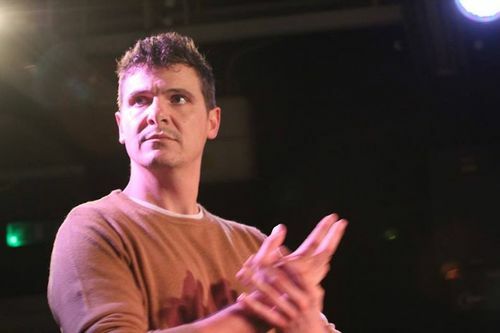 Overdue is a new play written by Arabella Arnott, directed by Matt Jamie and produced by Melanie Rashbrooke for Coracle Productions - a theatre company based in Newcastle and London. It looks at life's 'what ifs' and 'never weres'; the difficult decisions we all have to make, and how those choices shape our lives. I'm certainly not a theatre critic but what I can tell you (without spoilers!) is that this is a play that is totally captivating, engaging, humourous and above all emotional. It's a drama about relationships, growing up, dealing with the past and confronting fears. What is so amazing though is that in 70 minutes, four actors, in a few square feet of space, with just two very simple sets, which are both visible at all times, and a handful of props, manage to convey such emotion, intensity, as well as tell a story and above all else entertain the sell-out audience in a really refreshing way. That is why I love theatre. Although we don't often get the chance we do enjoy going to the theatre. Watching a show in a theatre can be a magical experience, a live performance right in front of your eyes. It makes you appreciate the hard work and dedication of the actors, directors, set designers, production staff, etc. that bring amazing shows to the stage time and time again. Overdue is one of those dramas that also makes you think. I felt emotionally drained after the performance - in a good way - apparently, it's the sign of a great drama - and I was also still thinking about the issues the following day. 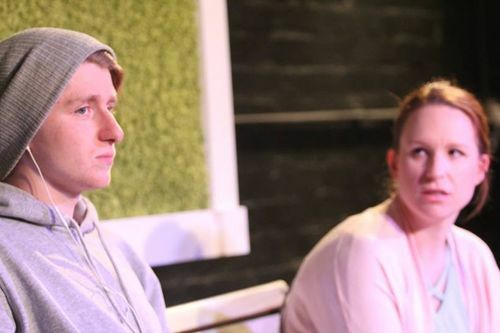 The actors - Rosie Stancliffe, Christopher Price, Benjamin Michael Smith and Skyla Pearce were dynamic and captivating, (the latter two were making their professional debuts too), the writing so funny, insightful and engaging, and the venue really special. The theatre is an intimate, cosy really lovely venue in the heart of the city. I feel quite honoured to have watched the first full production at the re-launched theatre. 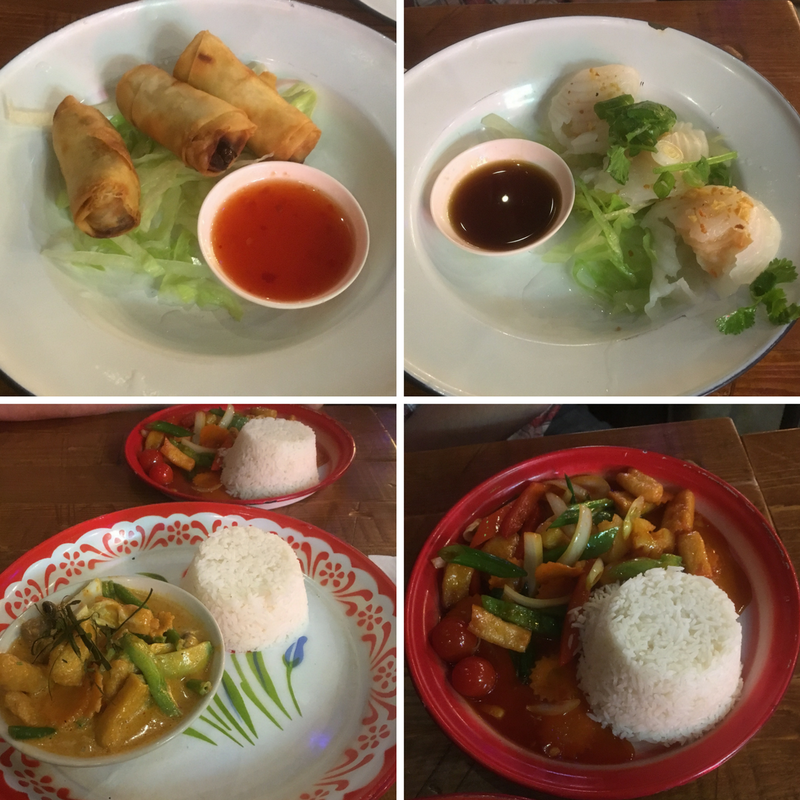 Before we arrived at the theatre we had been out for food in a Thai Restaurant where the food was not only a bargain at £10 for two courses plus a drink, but delicious too - but more about that in another post. But being out in my hometown actually felt like when we've been in New York. It reminded me of when we'd found a 'tomato' restaurant and then headed to The Zipper Theatre. I love being able to discover new places that aren't run of the mill. And our latest date night certainly did that. Newcastle now has some great restaurants, great independent theatres with some of the best drama on stage, and a fantastic vibe. I love living here. 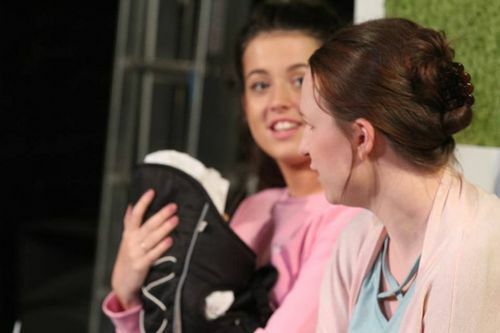 Overdue is on at Alphabetti Theatre until Saturday 16 September. Tickets cost just £9 / £7 or use the code ALPHALAUNCH for a 2-4-1 offer. It is suitable for age 14 +. Honestly, it's a tenner worth spending. Where did you go on your last date night? 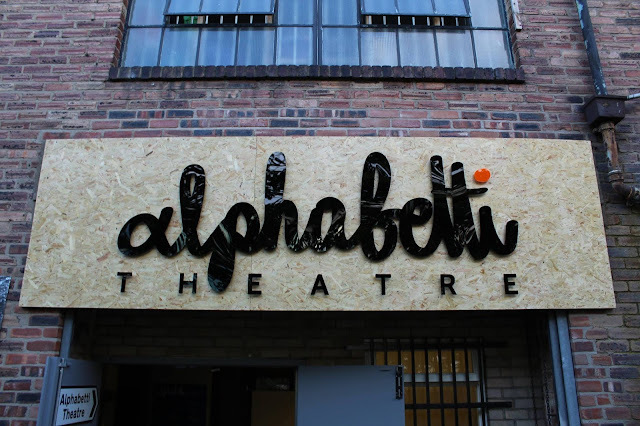 Disclosure: We received an invitation to the press night at Alphabetti Theatre to see Overdue. To be kept up to date with events, new openings, recipes, things to do and child-friendly places to take the kids, plus giveaways then follow me on Facebook, Instagram or Twitter too. Or why not pin this post on Pinterest? Ah so jealous. I love going to the theatre and so desperate for a date night!! That meal is a bargain! I love Thai food too. Glad you enjoyed date night. I live going to the theatre, but never manage it enough. Great date night and the Thai food looks very nice. We have a smallish theatre in town which always had a panto every year, which we go along to. This looks so wonderful! I would love to go to the theatre more often and what a lovely date night for you!